Madison Premium Fireplaces include a tempered glass view window and a four-piece log set, mounted atop our legendary Slope Glaze Burner for a rich flame pattern within a taller, deeper log stack that complements the deeper fireplace (20 inches). Liner options for Premium Models include: Aged Brick, Herringbone, Stacked Fieldstone, and Black Reflective. 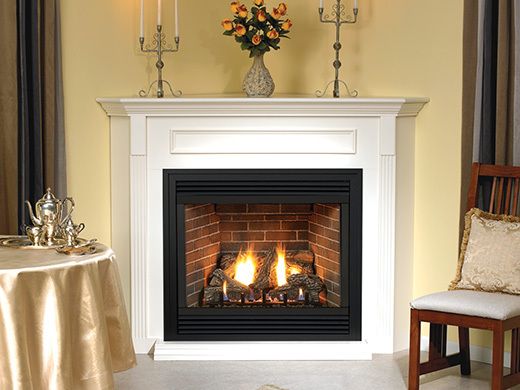 Madison Premium Fireplaces are available in Millivolt, and in Green Earth Preferred Intermittent Pilot and Multi-Function Remote Control models.